Ian Bernstein, the founder of Misty Robotics, joined us at Collision 2018 to talk about Misty, the advanced personal robot with professional grade, programmable sensors, bringing us ever closer to the reality of a useful robot in every home and office. Evolved from Sphero, Misty is a robot made for developers of every skill level. Inspired by the household robot imagery that he grew up with, like Rosie in the Jetsons and the android assistants in Star Wars, Bernstein started building his own robots when he was just 12. Eight years ago, he launched Sphero, an app-enabled, connected play robotic ball now used in STEM education programs in 10,000-15,000 schools worldwide. From there he developed the popular home version of BB-8, a droid character in the Star Wars franchise. Misty is the next generation of Bernstein's robot imagination, an outgrowth of his interest in telepresence robotics. Taking a page from devices like the Amazon Echo, and how people interact with it, Bernstein decided it was more important that his version of a personal robot leverage the power of personality, with telepresence capabilities, but also much more. It's easy to program in a variety of languages, as well as through a visual block programming interface. Users can modify robot functionality as desired and it is also hardware hackable. Misty comes equipped with far-field microphones, voice and face recognition, capacitive touch, bump and depth sensors and more. The magnetic panels are easy to remove, as are simple screws in other locations, and the robot is well equipped with serial and USB ports, along with an Arduino backpack to enable further customization of responses and actions. Misty comes in two versions, with an MSRP of $3200 although there are discounts and a referral program to reduce costs. Misty I is available now, and Misty II ships in December. Right out of the box, Misty is able to generate a detailed floor plan of your home, and charge herself at the nearest outlet, as well as perform some other basic tasks. With a wealth of developer tools on the website and an active developer community, imagination is the only limit to creating customized user functionality with Misty. You don't even have to own the robot yet, to be active in the Misty Robotics community. All you need is an interest in robots. 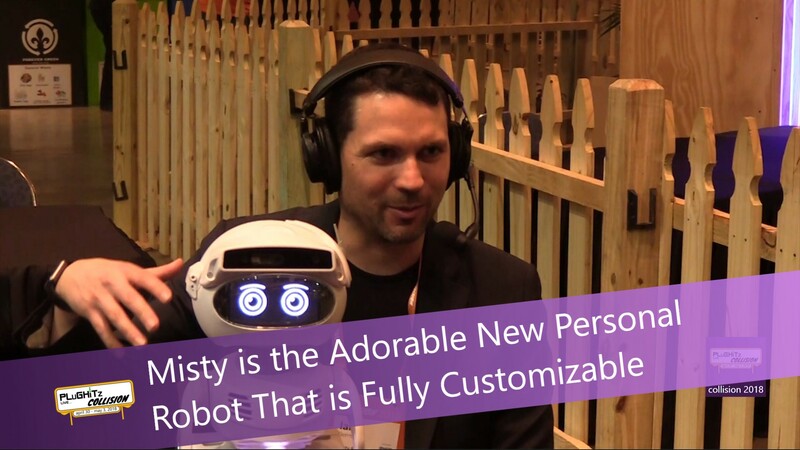 You can learn more and follow Misty's journey at the Misty Robotics website.